According to Robert Sondergaard, lighting and production designer at Electric Aura Projects, Inc., his 25 years working in entertainment is the result of luck. But once you understand the hard work he has put into networking, gaining hands-on experience in the field, and maximizing his workflow with Vectorworks Spotlight, you can easily see that his accolades were both earned and well-deserved. Canada Summer Games rendering. Image courtesy of Robert Sondergaard. A member of the Associated Designers of Canada, Sondergaard has worked on an impressive array of projects and earned international praise and recognition. 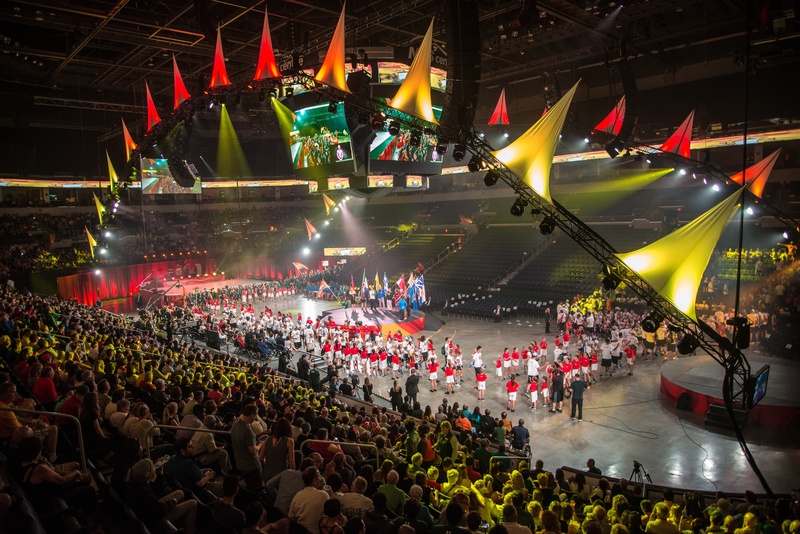 These projects include the Vancouver 2010 Paralympic Winter Games, the Canada Winter Games, the Royal Swedish Ballet, and the Grey Cup Halftime show (the equivalent to the NFL’s Super bowl in the United States). He credits his success to work experiences that are not seen as a “traditional” educational path for designers. Canada Summer Games. Photo courtesy of Jason Bolger. Sondergaard emphasized the importance of “getting out there and learning on site,” along with finding a solid mentor to teach you the ropes. He had similar advice to share for those learning and using Vectorworks Spotlight. 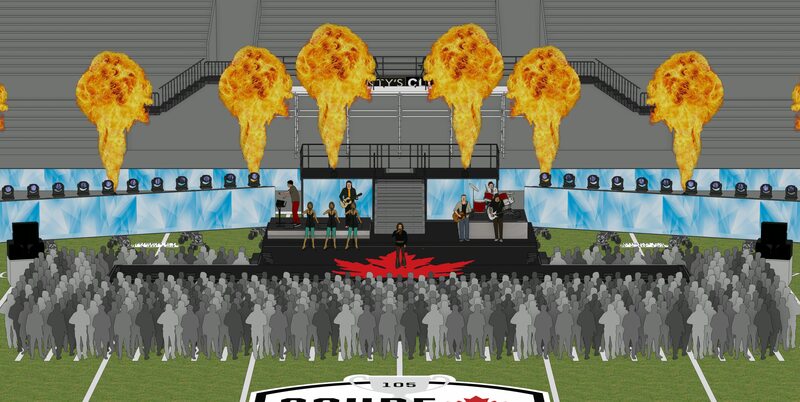 Grey Cup 2017 Halftime Show rendering. Image courtesy of Robert Sondergaard. A power user himself for 10+ years, Sondergaard is a fan of the quick and easy functionality of Vectorworks Spotlight and its realism in 3D drawing. 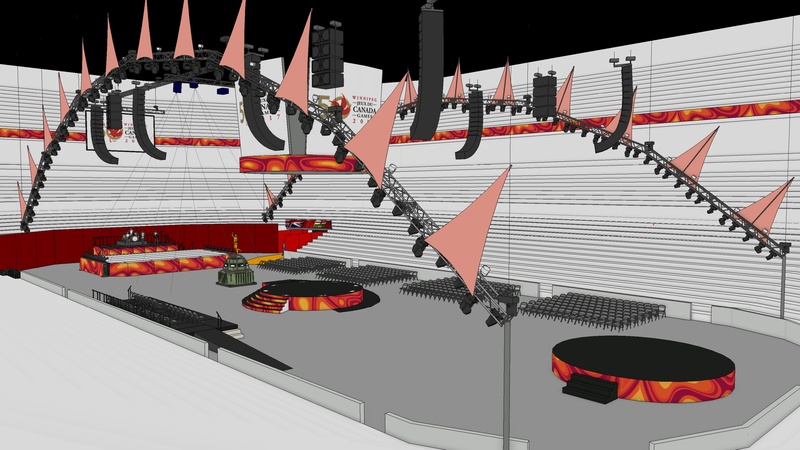 “Vectorworks is a really great blend: an integrated 3D modeling system with a great 2D CAD program,” said Sondergaard. “Spotlight is getting better all the time and having the entertainment focus has made it useful for me in particular.” In fact, the software has helped streamline his workflow so much that he has time to take on freelance gigs creating drawings for other designers in the area. Grey Cup 2017 Halftime Show. Photo courtesy of Carole & Roy Timm Photography. Sondergaard also commented on the enhanced reporting functions in the latest version of Vectorworks. These improvements have helped Electric Aura so much that the company has won projects simply by touting their unique workflow. Veld Music Festival mainstage rendering. Image courtesy of Robert Sondergaard. According to Sondergaard, getting to this level of expertise using Vectorworks isn’t necessarily difficult — you just need to seek out the many resources available to you. 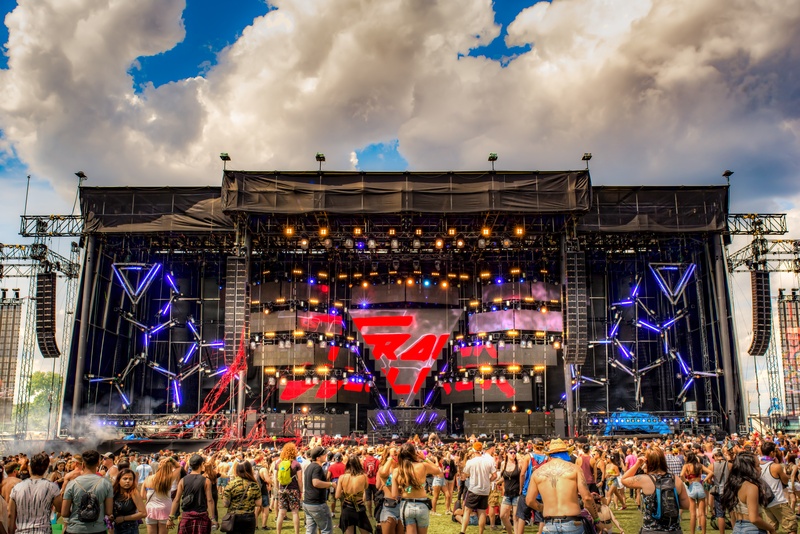 Veld Music Festival mainstage. Photo courtesy of Robert Sondergaard. In fact, it was the entertainment design community that helped Sondergaard transition from his lighting technician role at Christie Lites to the production and lighting design management role he fulfills for Electric Aura today. It is the perfect example of how natural talent aided by the features of Vectorworks (and, perhaps, a little bit of luck) can work together to catapult an entertainment professional to success. Want to know how Vectorworks Spotlight can work for you?